"Mr. Scott taught me seventh grade science in 1964-65. His..."
"Mr. Scott deserves a memorial akin to the ones for Misters..."
"Sixty-two years ago Mr. Scott was my seventh grade science..."
"Bob Scott is remembered by many as a outstanding teacher;..."
"Rest in peace UncleBob; you'll be greatly missed !" Loved and respected by all who knew him, Robert was affectionately known to most as "Bob" or "Scotty." Robert Burton Scott, 95, of Vancouver, WA, passed away Fri., April 1, 2016 at his home in Glenwood Place. He was born July 12, 1920 in Pomeroy, WA. From an early age, Bob's love of the outdoors, geography, science, music, and family helped pave the way for his plan in life. Although not a pilot himself, during his time in the Army, he had the task of teaching pilots to fly planes. Bob spent a number of years on U.S. Forest lookouts, helped set up aircraft warning stations, and had many stories to tell regarding those adventures. Married in 1942, the love of Robert's life was Olive Rogers, his bride for over 60 years. 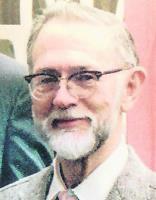 Robert taught science for 37 years at Lewis Junior High in Vancouver. He was truly motivated to ensure science was fun! Bob adored his students, and many kept in touch with him thru the years. Robert is survived by his nieces, Leslie, Cynthia, Sheryl, Linda, Robin (Olive's niece), and their spouses. The family legacy lives on with 10 great-nieces and nephews. He was preceded in death by his wife, Olive; both his parents, William and Muriel; two brothers, Jim and Bill; niece, Karen; and great-nephew, Robert. The family would like to offer many thanks for the special people who remained near and dear to Bob throughout his lifetime. Their time and efforts on his behalf will not be forgotten; Bob was always thankful for their deep and abiding friendship. all who knew you and you will be greatly missed! A memorial service will be held April 14, 2016, at 2 p.m. at Willamette National Cemetery, 11800 SE Mt. Scott Blvd., Portland, OR 97086. In lieu of flowers, if you wish to celebrate his life, donations to the Columbia Land Trust or in Portland, OR will be appreciated. Please share memories at www.DaviesCremationBurial.com and www.columbian.com/obits.